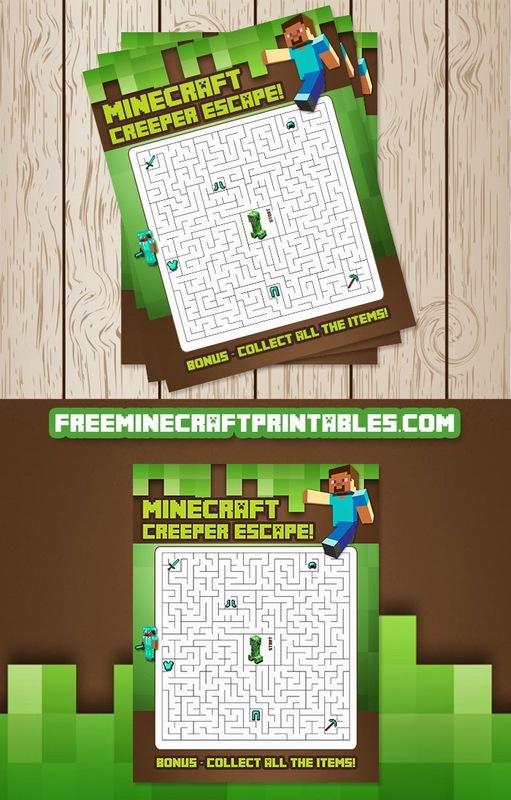 This Minecraft Maze is 8.5 x 11 inches. I would recommend this Minecraft maze for children who are 7+ as it can be a challenge for younger children. This is a great activity for a party, slow summer days, a classroom activity, or home school activity. 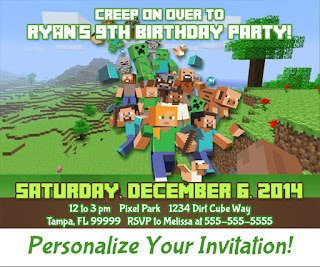 Also place in your Minecraft party bags as a fun Minecraft Party Favor. Thanks for all the printables! Great party ideas! Thank you for sharing, this is going to save me some time. Your printables are awesome.